Selection may vary; see a sales associate for available models. Apple Watch Series 3 (GPS + Cellular) requires an iPhone 6 or later with iOS 12 or later. 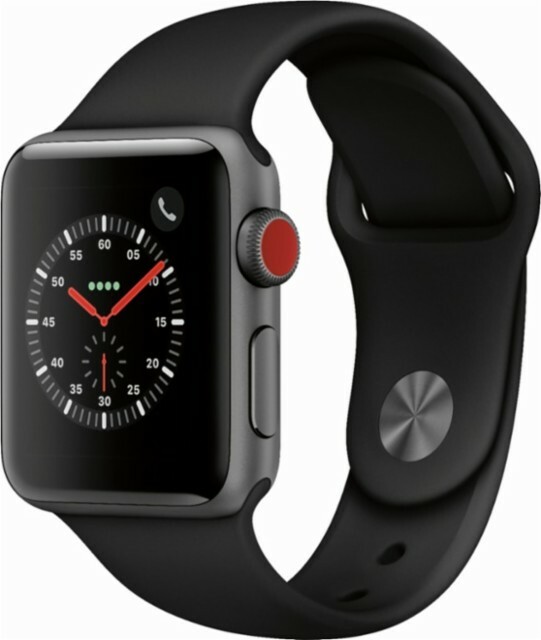 Click the button below to add the Apple - Apple Watch Series 3 (GPS + Cellular), 38mm Space Gray Aluminum Case with Black Sport Band - Space Gray Aluminum-6139708 to your wish list.